All levels of skating experience are catered for so beginners and regular skaters will all be able to glide around Garema Place on the giant open-air ice rink. Take a slide down the ice slide on a snow tube and feel the snow flakes in your hair or warm-up by bouncing on the cloud castle. Even if you're not skating, sliding or bouncing there is still plenty to do. Take a stroll through the winter forest, be entertained by roaming performers, grab a bite to eat from one of the food vans or get a drink from the Alpine Bar. You can even take a ride on the Ferris wheel and enjoy other carnival favourites. 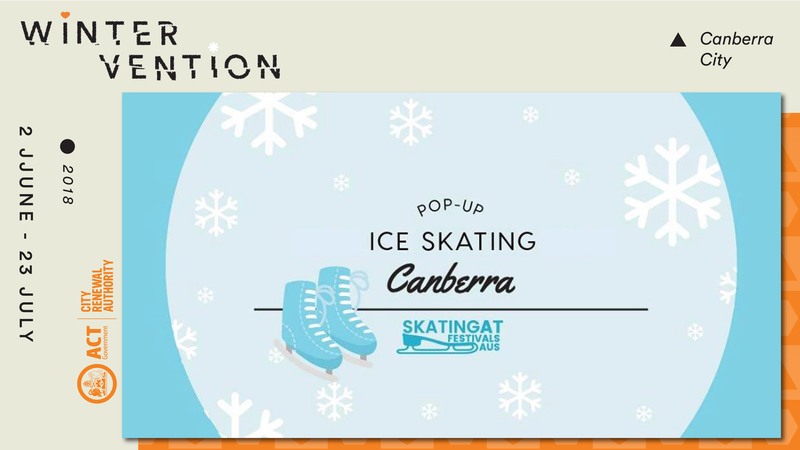 Skating at Canberra is funded through the City Centre Marketing and Improvement Levy, a fee paid by property owners in the city centre. Stay up to date by following @CityRenewalCBR on Facebook, Twitter and Instagram.